Profit per room at hotels in the Middle East & Africa fell by 12.1 per cent year-on-year in April as revenue levels crashed on the back of plummeting achieved average room rate, according to new data from HotStats. Further to a seemingly positive period of operation in Q1 2018, in which hotels in the Middle East & Africa recorded a 0.9 per cent year-on-year increase in profit per room, properties in the region have been hit hard this month by a 12.1 per cent decline in gross operating profit per available room (GOPPAR), which fell to $93.21. The drop in profit per room was led by falling TrevPAR levels, which fell by 7.4 per cent, to $224.61, as a result of a decline in revenue in the rooms department (down 7.8 per cent), as well as falling non-rooms revenue, including food and beverage (down 6.7 per cent) and Conference & Banqueting (down 3.0 per cent). 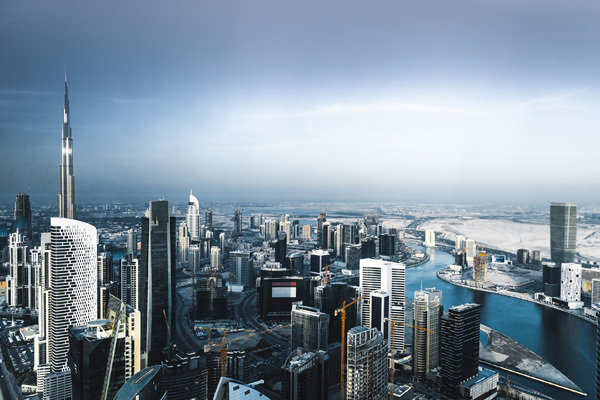 And whilst hotels in the Middle East & Africa successfully recorded an uplift in volume once again this month, illustrated by the 0.3-percentage point increase in room occupancy, to 74.9 per cent, this was entirely wiped out by the 8.8 per cent decline in achieved average room rate, which fell to $176.22. Although price has been something that hotels in the Middle East & Africa have been battling with over the last 12 months, this month was notable for the decline in rate across all market segments, including best available rate (down 15.7 per cent), residential conference (down 7.4 per cent), corporate (down 9.1 per cent), individual leisure (down 3.3 per cent) and group leisure (down 5.6 per cent). The decline in revenue levels was further exacerbated by escalating costs, which included a 1.5-percentage point increase in Payroll, to 25.0 per cent of total revenue, as well as a 1.2 percentage point uplift in overheads, to 23.8 per cent of total revenue. As a result of the movement in revenue and costs this month, profit per room in the region fell to $93.21, equivalent to a profit conversion of 41.5 per cent of total revenue, which contributed to the 2.8 per cent decline in GOPPAR for year-to-date 2018. “2018 is shaping up to be a positive year for hotels in the Middle East & Africa, having recorded year-on-year growth in profit per room in Q1 2018. However, the decline this month means that profit performance in the region is now back in the red and hotels face another year of decline following the challenges in 2016 and 2017,” said Pablo Alonso, CEO of HotStats. One of the worst hit markets this month was Manama, which recorded significant decreases in top and bottom line performance, in spite of the province hosting the Formula One Grand Prix. Profit per room at hotels in the capital of Bahrain fell by 24.5 per cent year-on-year, $61.41, which was on the back of declining revenue levels and rising costs. In line with the Middle East & Africa market overall, achieved average room rate at hotels in Manama plummeted by 7.7 per cent, to $179.26. However, hotels also recorded a 10.9-percentage point decline in room occupancy, which fell to 58.1 per cent, and contributed to the 22.2 per cent drop in RevPAR, to $104.23. As a result of the drop in volume at hotels in Manama, declines were also recorded in Non-Rooms Revenues, which included a significant year-on-year decrease in F&B (down 23.8 per cent), conference and banqueting (down 19.1 per cent) and leisure (down 16.0 per cent) revenue. Profit levels were hit further by a 1.5-percentage point increase in Payroll, to 27.5 per cent of total revenue, which contributed to profit conversion tumbling to 38.5 per cent of total revenue. “Although the Bahrain Tourism and Exhibitions Authority (BTEA) reported that hotels in the area benefited from 23,000 room bookings during the weekend of the Grand Prix, this does not seem to have translated to the usual buoyant performance for hotels in Manama," Pablo said. "Whilst recent hotel openings, including the 441-bedroom Wyndham Garden and the 164-bedroom Park Regis Lotus Hotel, are likely to have dampened performance this month, it is clear that the challenging economic conditions are continuing to hamper hotel performance in the Bahrain capital,” he added. In line with the decline in performance levels in Manama, hotels in the Qatari capital Doha are continuing to face challenges, partly borne out of the trade blockade imposed by Saudi Arabia, the UAE, Bahrain and Egypt. In addition to falling room occupancy levels, which dropped by 4.2-percentage points this month, to 71.2 per cent, hotels in Doha are struggling to maintain price, which fell by 12.7 per cent this month to $158.58. This contributed to the ongoing drop in achieved average room rate in Doha, which has fallen by almost $60 over the last three years, to $160.82 in the 12 months to April 2018, from $218.42 during the same period in 2014/2015. The 17.5 per cent decline in rooms revenue, in addition to falling non-rooms revenues, contributed to the 11.7 per cent decline in TrevPAR at hotels in Doha in April, to $297.73. And despite cost savings, which included a 1.1-percentage point reduction in Payroll, to 25.0 per cent of total revenue, hotels in Doha suffered a 14.2 per cent decline in profit per room in April, to $112.51. This is equivalent to a profit conversion of 37.8 per cent of total revenue.